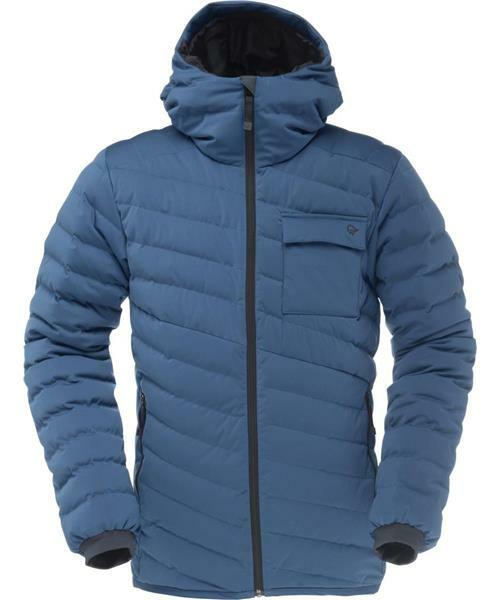 Men's down jacket with a distinct, toned down expression. This standard issue down jacket can be used either as an insulation layer under your shell jacket, or as stand-alone outer armour. Light and soft, yet durable and strong, this down jacket packs down easily into your daypack, as an essential part of your everyday on- or off-mountain battle kit. Critical details include hand warmer pockets, chest pocket and weather protective hood.